As Nigeria eager-ly awaits her certification as polio-free by the World Health Organisation, WHO, the Aliko Dangote Foundation, ADF, has boosted the nation’s efforts to finally end a scourge which had affected thousands of children across the country. The organisation, in support of government’s efforts to end polio, has released a detailed report which showed the impact of a partnership agreement on routine immunisation, RI and polio eradication, which was signed between the ADF, the Bill & Melinda Gates Foundation, BMGF and six Northern states comprising Kano, Bauchi, Kaduna, Sokoto, Borno and Yobe. The 114-page report, which showcased the efforts of the ADF in the fight against polio, was released in Lagos recently. It catalogued RI activities before and after the MoU was signed between the tripartite partners, with a marked upsurge in RI efforts after the MoUs were signed. It also revealed that hundreds of thousands of under-5 children, who are most prone to polio, have been successfully immunised against the virus. 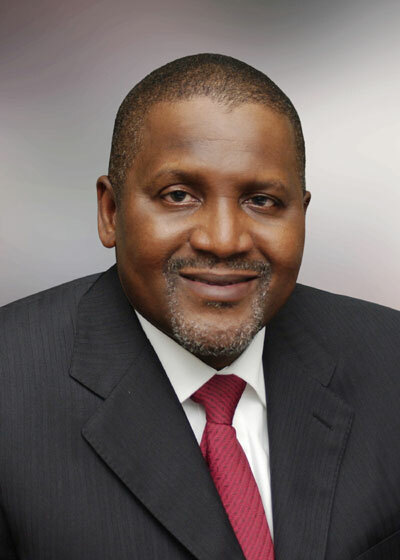 The document, which contains analyses, interviews and pictures, was based on findings obtained from a recent spotlight visit undertaken by the philanthropic arm of the Dangote Group to the six MoU partner states, while tracking the progress made by each of the six states on RI and polio eradication under the partnership agreements. The report revealed that the tripartite agreements have helped to strengthen RI and also provided technical, material and financial support to the partner states and their relevant agencies and stakeholders; with resultant rise in RI coverage for eligible children in both rural and urban areas, including those in hard-to-reach and inaccessible communities; and also greater involvement of traditional and religious leaders in the process. It also highlighted the back-up efforts of the ADF and BMGF through improved logistics; which have ensured better access to healthcare in both rural and urban communities in the six Northern partner states; some of whom have devoted higher parts of their annual budgets to ensure adequate healthcare for millions of their citizens. Aside the financial and logistics support for RI in the six MoU partner states, the ADF has also constructed 11 Primary Healthcare Centres, PHCs in seven LGAs in Kano State and two PHCs in two LGAs in Yobe State. Speaking on the impact of the MoU on RI, the Managing Director/CEO of the Aliko Dangote Foundation, Zouera Youssoufou said the state governments were able to abide by the letter and spirit of the MoU, which has largely accounted for the success of the RI process and stamping out of the scourge of polio. ADF, which was endowed with $1.25 billion by its Chairman, Aliko Dangote, has actively supported the polio eradication activities in the partner states, through provision of funding and logistics under a Memorandum of Understanding between the six Northern states and the two foundations. The MoU, which initially began with Kano State in 2012, was renewed and extended last year. On ADF’s next move to help ensure total eradication of polio so that Nigeria can attain polio-free status in the nearest future, the MD noted: “We will continue to work on the polio campaigns and ensure that many kids are immunised so as to maintain ‘herd immunity’”. It is widely believed that sustained population immunity through RI remains key for polio eradication in Nigeria and Africa, while ongoing accelerated efforts to increase coverage for all expanded programmes on immunisation vaccines have been commended by stakeholders. Nigeria is on the cusp of being certified polio-free, with the support of ADF and BMGF. This has been achieved with the support of the six Northern MoU states, the National Emergency Response initiated in January 2018 by the NPHCDA and the Federal Ministry of Health. One of the key impacts of the MoU was the greater involvement of traditional and religious rulers to help persuade resistant populations and encourage them to embrace RI to help protect their children and eradicate polio. The buy-in of the leaders has improved line-listing in the six states and increased response to immunisation exercises from state level all the way down to the settlement level; with better access to nomadic children and those in hard-to-reach communities. The Emergency Operations Centres in each of the six partnership states, which are the coordinating centres on polio eradication activities, are also playing crucial roles to complement the states’ efforts and leverage on the MoU basket funds to help end polio in Nigeria.